TMR 129 : Dr. Mike Spaulding : Isn't It Obvious How You Read The Bible? For TMR's final programme of 2015 we are joined by Dr. Mike Spaulding, Senior Pastor of Calvary Chapel, Lima and host of Soaring Eagle Radio, for a discussion on the subject of Biblical Hermeneutics. Isn't it obvious how we should read the Bible? After all, if it says such-and-such, surely it means such-and-such, and that's the end of the matter? Or is it really always quite so straightforward? 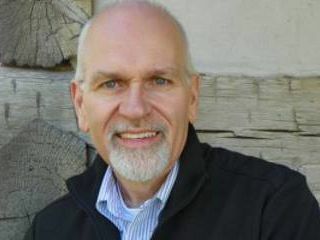 Drawing upon his many years of study, grounded in the context of pastoral ministry, ... See More Dr. Spaulding guides us through the maze of biblical hermeneutics - observation, interpretation and application - and shares with us some invaluable tools that can help us unlock the plain meaning of the Scriptures.